"You’ll need to think fast, communicate clearly, and consider your soldiers’ training and welfare. 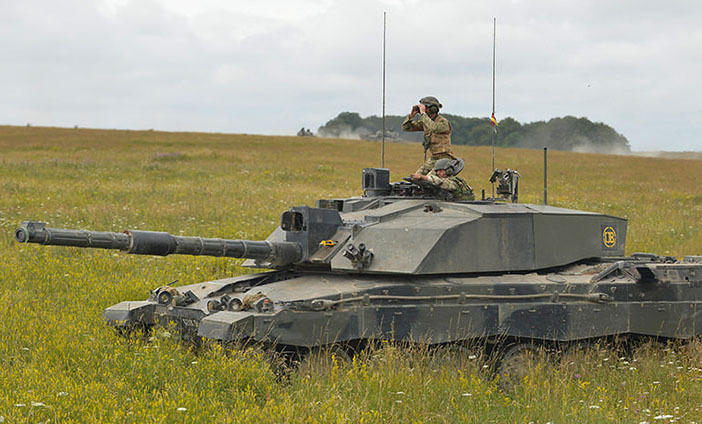 The Corps provides the Army with armoured manoeuvre specialists and vehicles, primarily Challenger 2 Tanks, AJAX armoured reconnaissance vehicles, and Jackals." You'll lead a team of highly-trained soldiers and their vehicles – from the Challenger 2 tank to the AJAX reconnaissance vehicle. The Commissioning Course at the Royal Military Academy Sandhurst will develop your leadership and military skills, and the Troop Leaders Course will teach you everything you need to know about your role. But in the British Army, the learning never stops. We’ll make sure that you’re always well prepared for the next challenge. Take on responsibility and have autonomy of command. The opportunity to work towards an undergraduate diploma in Leadership and Management or, for graduates, the opportunity to work towards a post-graduate diploma in Leadership and Management. Your initial training will take place at your local regiment, where you’ll learn the basics of soldiering, before heading off to the Royal Military Academy Sandhurst to complete the 3 week Reserve commissioning course.